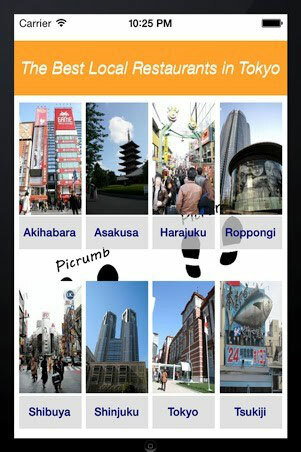 The Picrumb App "the smartest way to find restaurants" is now on sale in Apple Store and Google Play! 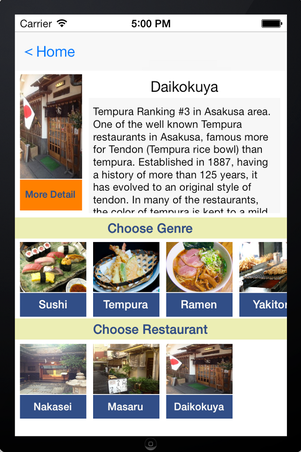 The App contains more than 90 local restaurants in Tokyo and you can get to those highly rated restaurants using your smart phone OFFLINE while you are traveling. It's all in one App! 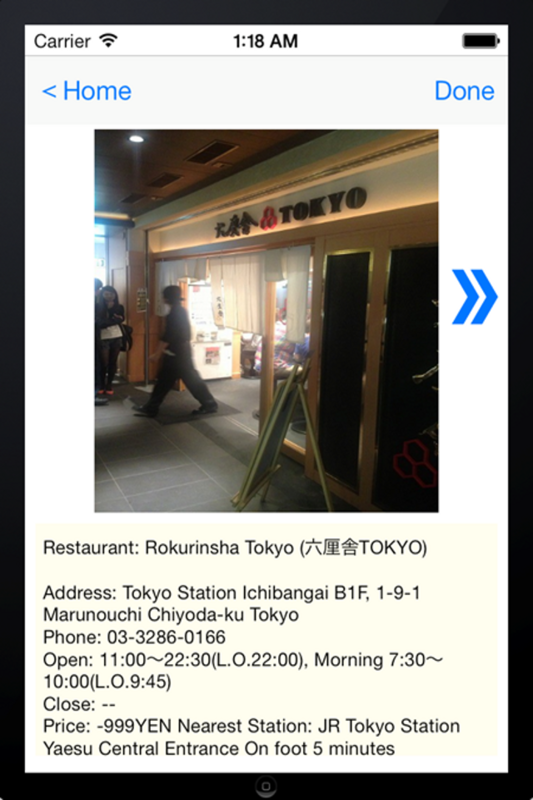 Covers 92 highly ranked restaurants in Tokyo (Akihabara, Asakusa, Harajuku, Roppongi, Shibuya, Shinjuku, Tokyo Station, Tsukiji). 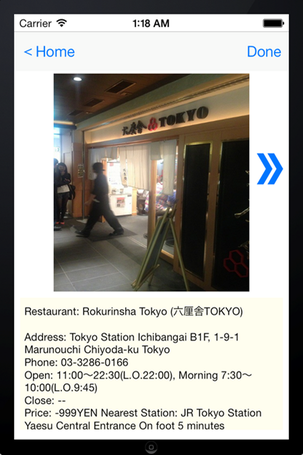 Gives you basic information about the restaurants. Gives you the supur easy guidance with 1. Total distance, 2. Starting point, and 3. How many steps to follow. 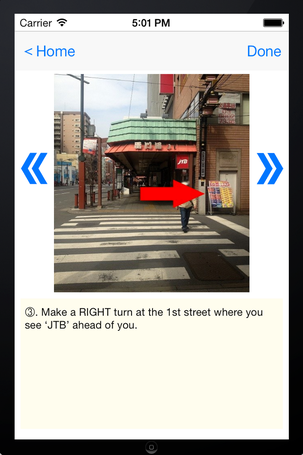 Uses more than 800 fine pictures with arrows and texts to show your way to get to the restaurants. It's a lot faster than Online. Restaurant names all written in both English and Japanese as many restaurants in Japan are only written in Japanese characters. 100% Offline (Wifi, 4G, 3G NOT required). Saves bringing hundreds of pages of printed maps from home because Picrumb App is absolutely paperless and eco-friendly. Makes you feel like you are treasure hunting while you are walking! No more wandering around aimlessly to find "no good" restaurants. 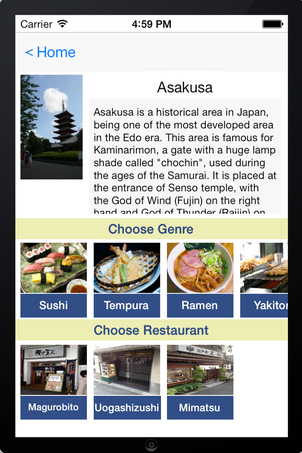 There is a way to find the best local restaurants in Japan even when there is no WIFI connection! 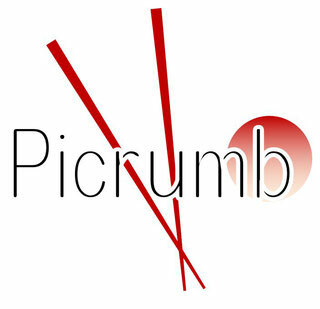 Picrumb, an easy App to guide your way, will show you pictures of street one by one to take you to the best local restaurants you don't usually find on the major streets. 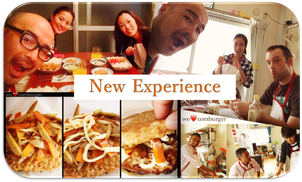 When you travel to Japan, you will not be able to go to good restaurants that the locals would go to. Why? Because you will never find the way to get there! You may have the address in your hand, but even the Japanese taxi driver wouldn't know where it is. The only person that knows the streets by the address is the person working for the post office. 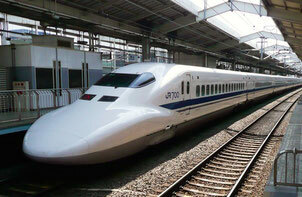 From our interview to the travelers in Japan, "Have you been able to get to where you wanted to go?" The answer was "No! It is impossible!!" With limited access to the internet, the incomprehensible system of the address and so many non-English speakers, navigation in Japan is non-existent. So, we have prepared an old but a new way of navigation, the "Picrumb". 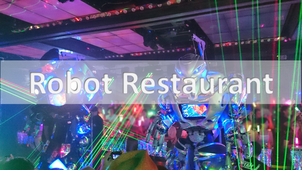 Like Hensel and Gretel, you can follow the crumbs of picture that will never be pecked by birds, and it will take you from the station or a major site seeing spot, to the best restaurants in town! The selection of restaurants are all rated highly by the locals! ①. Find the Best Restaurants of the area by tapping on the location you plan to visit! ②. Tap on the Genre of food to narrow down on restaurants! ③. Tap on a restaurant for the details. tap on the “More Detail” button in orange!! ④. Open hours, number of seats, etc. the details you need to know are all here! To see how to get there, push the blue button on the right! ⑤. You will see a picture of the route. The starting point is set to a point any Japanese would know where it is! 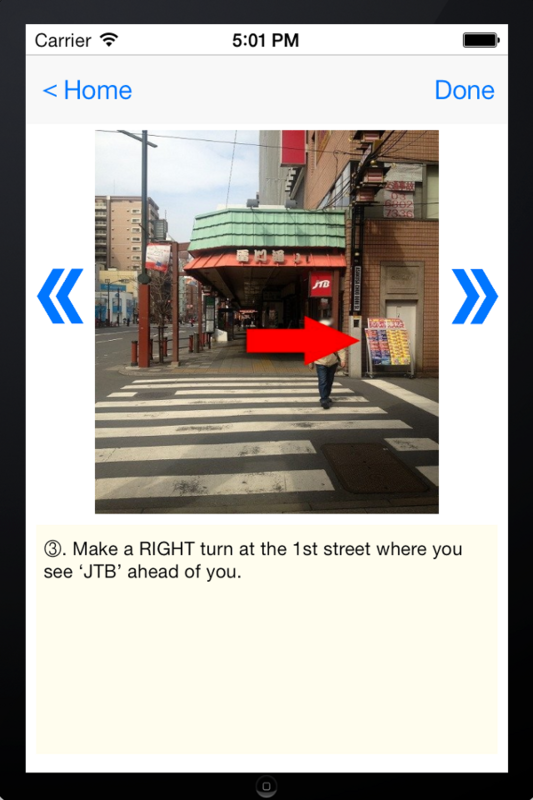 Just follow the arrows on the picture and it will take you to the restaurant you have selected! It will make you feel like you are treasure hunting! This is great. I am going to install either in my ipad or my husband's iphone. Great job! Mahalo. 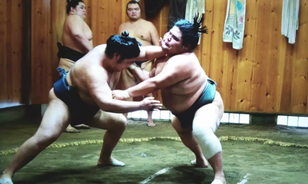 I can't wait to try it out when I visit Tokyo in October 2015.